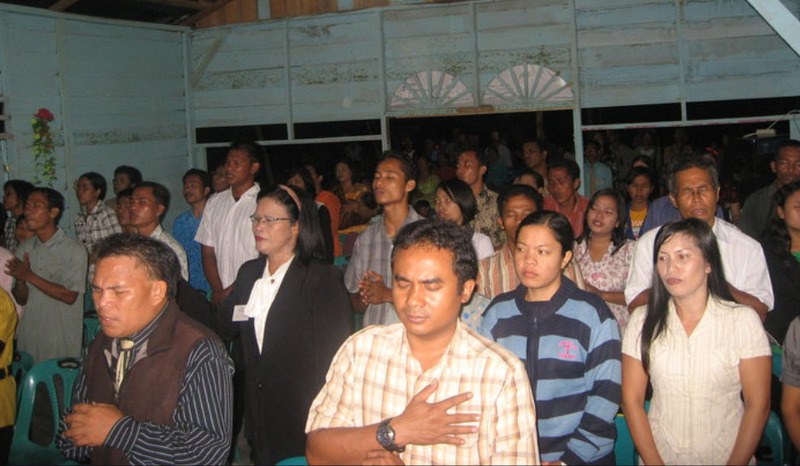 This is a powerful testimony from our Indonesian sister, Tinnie. Here she tells us how God has called her to be His own and also to bring Jesus to her Muslim family and friends. They labor in the largest Muslim country on earth in a very remote part of Indonesia. 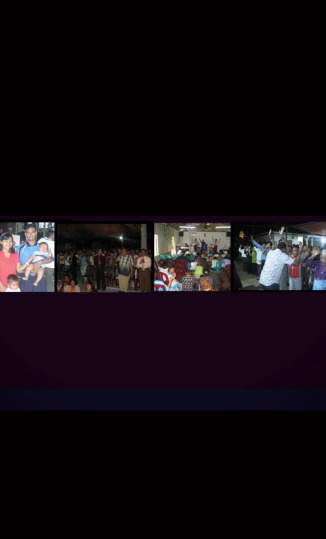 They have already planted one church out of their first church as of September 2012. Teams are needed to go and help them. Indonesia is experiencing a very powerful revial at this time. Glory to God, the Father, His Son and the Holy Spirit! The Bible says in John 3:16, "For God so loved the world that He gave His only begotten son so that whoever believes in Him shall not perish but have everlasting life." Amen! I came from a Muslim family and a predominantly Muslim society in Sumatra, Indonesia. Everyone around me is a Muslim and naturally I was brought up as a Muslim, taught to pray as a Muslim and to worship Allah alone. However, everything changed when I was enrolled in a Christian primary school. 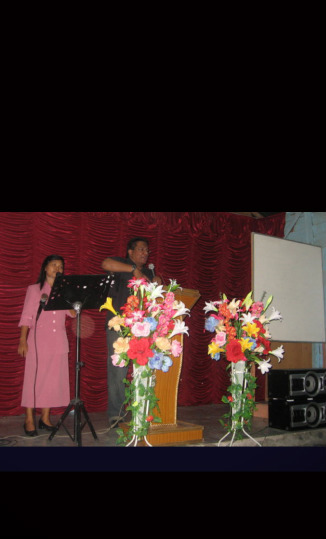 I believe that it was not by chance that I was placed in this school but by God's grace and His love for me. 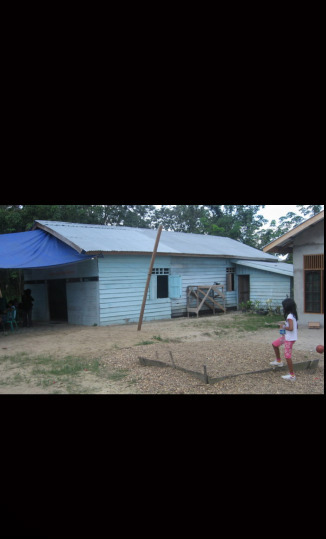 At this school, I learned about Jesus and a God who loved me so much that He gave His life for me. However, I still had not accepted Jesus as my personal savior. This did not stop me from enjoying all the Christian activities that were available in my school. Sadly, all this was about to change. My family had to move into another town when I turned 14, and I had to enroll into a new school. My new school was a Muslim school. From the age of 15 to 26, I lived without Jesus and hence, without joy and hope that I currently have. During those years I had no choice but to follow my family in all their Muslim prayers and fasting. Moreover, my mother was a Quran teacher. Glory to God, He never forsakes those whose heart seeks for Him. In March 2000, I made the important and best decision I have ever made in my life. I gave my life to Jesus and I have never looked back since. It has also been my prayer that my staunch Muslim parents and siblings back home would some day come to know the Lord Jesus Christ. However, I believe that God can do anything, and that includes saving my family members. In my prayers, I claimed God's promise in Acts 16:31, "Believe in the Lord Jesus Christ and you will be saved, you and your household." I had the opportunity to witness to my family when I was home in Indonesia for a holiday. My family could clearly see the difference God has done in my life. They could see the transforming grace in me, and I told them that only Jesus can make that difference. Last July, I was married to a wonderful Christian man who is also a Pastor. At our wedding, my mother, who was a staunch Muslim and a Quran teacher, gave her life to Jesus. That was the best wedding gift from God that I could ever asked for. He is truly a miracle-performing God. My mother has given up all her Muslim practices and now worships the true and living God. Hallelujah! My father and my other siblings have yet to accept Jesus but I am believing God for their salvation. Later this year, I will be leaving Hong Kong to join my husband in Sumatra. I believe that God has a purpose in our lives and we want to obey His calling. Please continue to pray for our ministry and the salvation of the rest of my family members.